LKE Smart Key Emulator introduces brand new functionality for work with Toyota/Lexus vehicles equipped with Smart Key Systems via OBD, without dismantle. 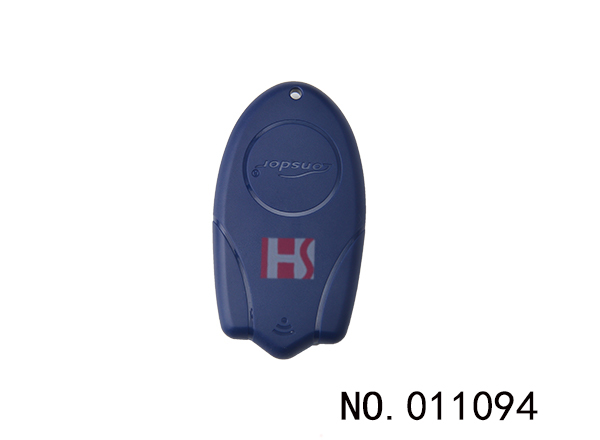 Main objective of the software is to allow addition of smart keys in "all keys lost" situation by creating emulator which allows to get permission to register new keys via diagnostic equipment. 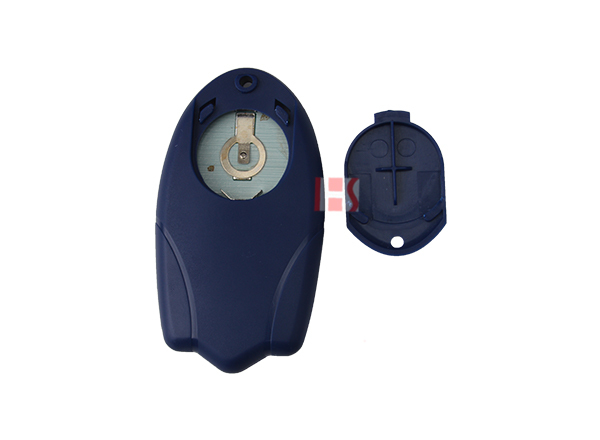 After choosing the immodata, in a network environment, the system will indicate to choose the corresponding LKE emulator key model, please start the key and put it into K518ISE key slot(make sure the key is activate), follow the instruction to make an emulator key. 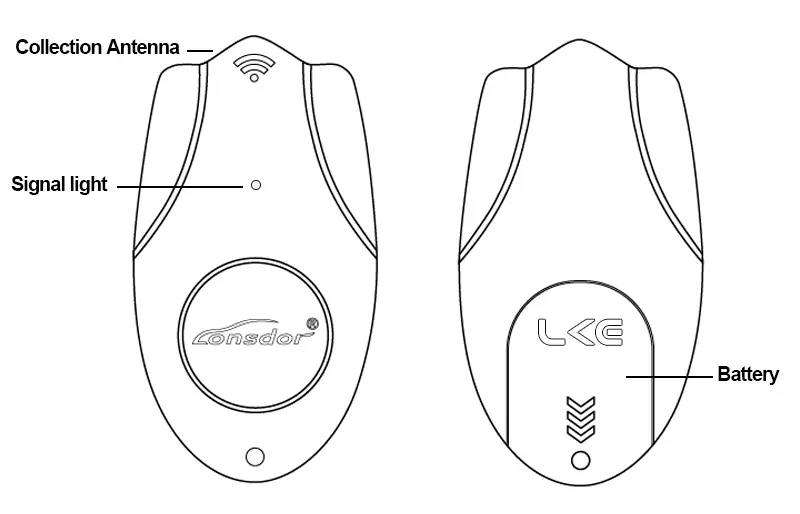 Click the car start button, put the generated LKE emulator key close to the start button, with induction the car will automatically activated. 3. 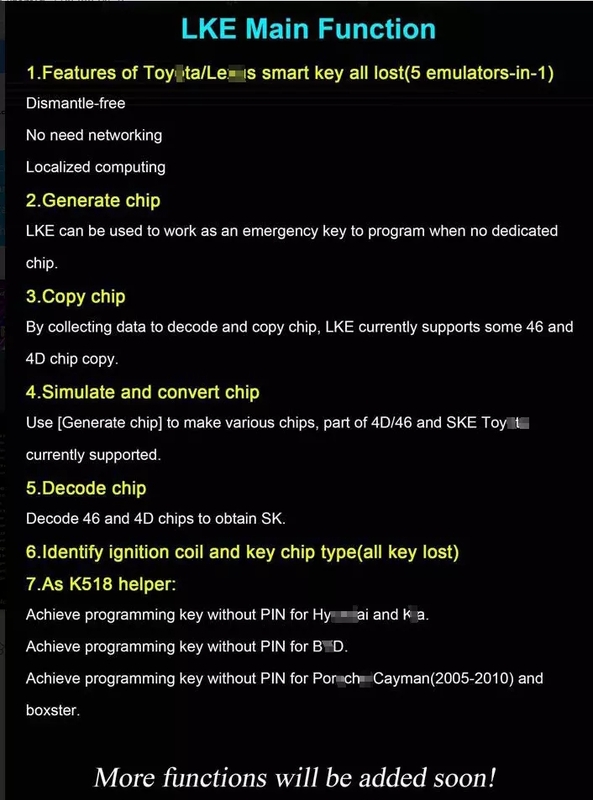 When making emulator key, make sure well net connection and to choose the corresponding LKE emulator key model correctly.